American symphonic music at its most acutely lyrical, relaxed and immediate. 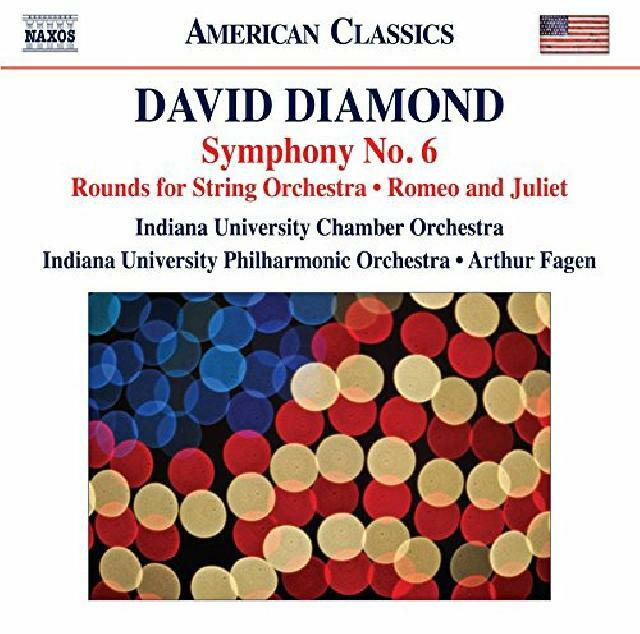 Composed in the decade from 1944, the three works here – examples of 20th-century American symphonic music at its most acutely lyrical, relaxed and immediate – showcase David Diamond at the peak of his undeservedly short-lived popularity. Much admired by Aaron Copland, the earliest work, the three-part Rounds for String Orchestra (1944), boasts an Adagio every bit as morosely mesmerising as Samuel Barber’s and a vivacious Allegro vigoroso finale brimming with American spirit. The 1947, five-part concert setting of Romeo and Juliet (also smacking of Barber while echoing Carlisle Floyd) announces itself with an ebullient Overture and is distinguished by the tenderest of Balcony Scenes, a delightfully playful and affectionate portrait of Juliet and Her Nurse, and a terse, achingly romantic depiction of Juliet’s death. Making its first appearance on disc, the Sixth Symphony (1954) is a granitic, testing experience rooted in 19th-century romanticism but shot through with Cold War dyspepsia and acidity. Performances from Indiana’s student players under Arthur Fagen’s well-proportioned control are exemplary throughout.